Besides endless green scenery, if there is one thing Ancient Ireland has an abundance of it is stone circles and monuments. One of our favorites, which we visit on customized tours and is also visited by our sister company, Visionquest Ireland, is The Uragh Stone Circle on the Ring of Beara. 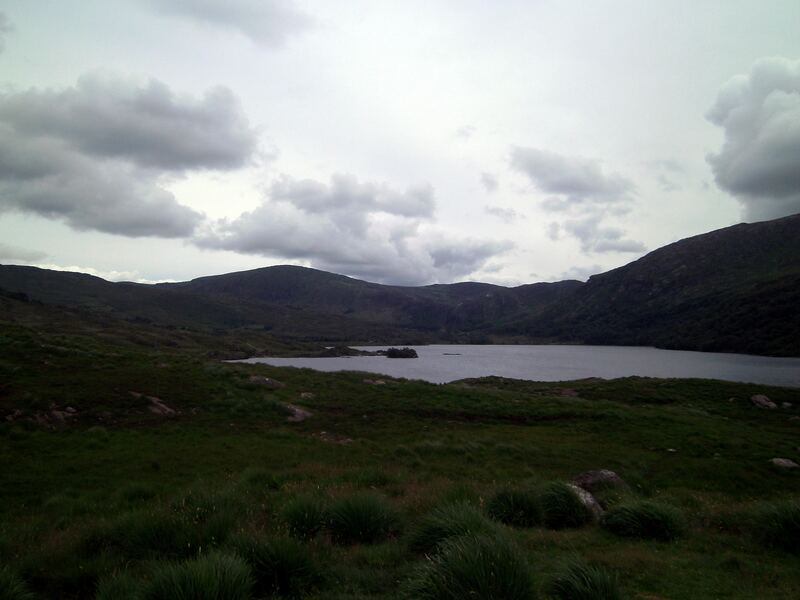 Located in County Kerry, to visit this ancient and sacred place, you will need to have a car, join a small group tour, or hire a private guide because the large tour buses do not go here; the roads are too narrow. Yet now matter how you manage to visit, it is worth the trip! The people before the Celts of Ancient Ireland believed in the ability to pass between this world and the other world in order to gain insights from the gods. Such journeys were possible at certain sacred sites, always built on energy meridians of the earth, frequently referred to as thin places or portals. The Uragh Stone Circle is such a portal to the other world where those seeking to travel to the other world would come since ancient times. Many have reported visions of a woman, clad in all white who sometimes appears to those who come and meditate here. You do not need to believe in these ancient tales and possibilities to enjoy a visit to the Uragh Stone Circle. Surrounded by waterfalls and set next to a lake offenders nothing short off stunning beauty and tranquility; enough to amaze any visitor. The last we checked, the site is accessible 24 hours and there is a small entrance fee off 2 euros which works on the honor system by placing the fee in a metal box at the gate. There is a picnic table near the carpark area if you want to make an afternoon or morning of your visit. The site gets very few visitors and even in the busy summer season you have a good chance of having it to yourself for at least a while. Have you visited? Please share your experience with us and we'd particularly like to hear from those who have seen the vision of the tall woman clad in white!